A warm and friendly welcome awaits at the family run Drimnin View Bed and Breakfast. 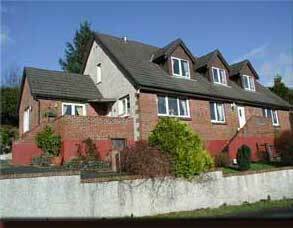 We have four letting bedrooms, two of which are en-suite and two sharing a bathroom. Television, tea/coffee making facilities and beautiful views overlooking the Sound of Mull. Our tariff is £70 per night for an en-suite room and £60 per night for a standard room with shared bathroom. These rates are based on two sharing. Rates for single occupancy are: £60 per night for an en-suite room and £45 per night for a standard room. Drimnin View is situated in the upper Tobermory. Go to the Tobermory website for more information about the town.